There likely isn’t much that breaks our hearts more than stories about herbivorous, cute animals being hurt or attacked by other animals. And yet at the same time, nothing brings us more joy than hearing about those same wounded animals making full recoveries and turning out just fine in the end. Luckily, that is the story coming out of Chiseldon, Wales, and the cute herbivore in question is a two-year-old Herdwick sheep named Eric, who was attacked in May by a lone wild dog and left with a badly damaged leg. As of this past week, Eric has returned home in full health to his brethren. 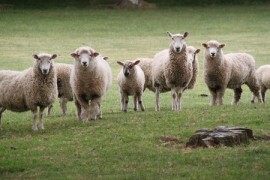 By word of Swindon Advertiser, Eric ran right into his paddock upon returning home and rejoined his brother Ernie and four other sheep under a tree, and they were keen to greet him with familial sniffs and recognition before they all moved on further into the hilly pasture to go about their old regular routine. By volunteer accounts, Eric appeared to be much more confident than he was before the attack, with the explanation likely being that he spent a good six weeks being cared for alongside a group of orphan lambs. 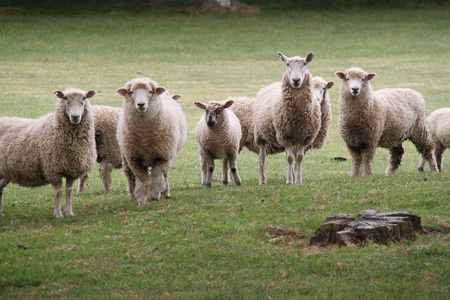 “I think he spent a few weeks as Alpha sheep,” said Claire, a volunteer caring for the sheep. “He will have a limp for a while, and it’s possible it might be permanent, but we hope not.” Further hope is that Eric’s paddock, with its marginally steep slope, will encourage him to use his leg more and help it heal more fully. Treatment costs were too high for the group, so they appealed for help and raised more than £1,800 in a few days—meanwhile, when she saw how well Eric responded, Dr. McPherson waived further treatment fees and only charged for medicine. As well in the spirit of community, farmer Niall Jones offered to care for Eric for nothing, and for six weeks he was looked after with a group of seven bottle-fed lambs—who became best friends with Eric, with his wound even being dressed with Manuka honey during this time. With Eric returned to his herd, volunteer Claire said the remaining donations they received had been set aside by the Washpool Area Restoration Project in a sheep fund to pay for feed and any unexpected future treatments.